Ingrid Van Dyk: Is it possible to be too perfect? Ingrid Van Dyk, 'Sweet Heart', 2008. It takes monomaniacal focus to create the kind of perfection that is evident in Ingrid van Dyk’s hyper-detailed drawings. Her images exude an air of compulsion, a tinge of mania which can also be seen in the work of many outsider artists; a sense that the artist is driven by an uncontrollable obsession. But Van Dyk, art school trained and the recipient of numerous grants and residencies, is clearly an art world insider. She may be obsessed, but she is also totally in control. In fact, she may be too much in control. Ingrid Van Dyk, 'Sweet Heart' (detail), 2008. 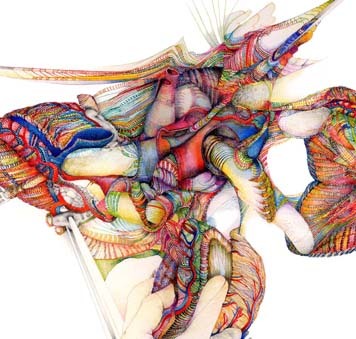 Van Dyk’s incredibly precise pencil and watercolour drawings explore a fascination with anatomy. Like a surgeon, she peers into the hidden recesses of the body. In her colourful drawing, Sweet Heart, probing fingers twist and mangle dissected fragments of multiple human hearts: these organs are exposed and violated. But there is no blood, no gore, no mess at all. What could be a vaguely disturbing image, something to force the squeamish to look away, a troubling memento mori, is instead cool and calculated. It lacks a visceral punch. Ingrid, Van Dyk, 'Transformation', 2006. 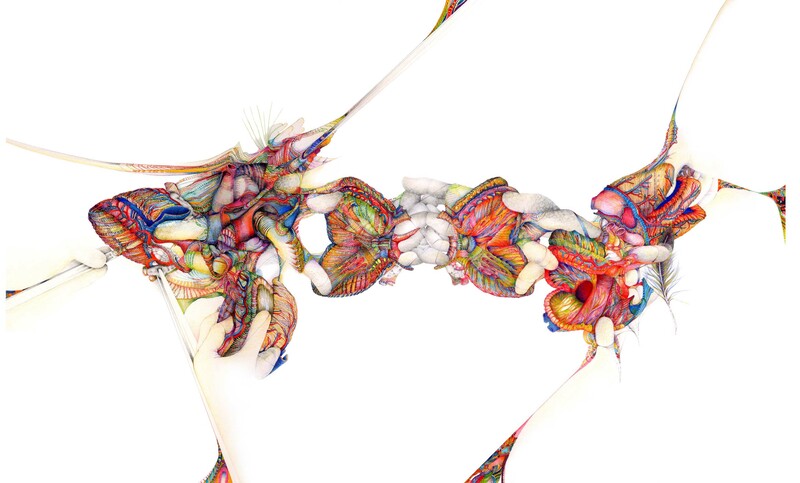 Van Dyk’s drawings are beautiful, mesmerising and perfect. But technical prowess has leeched all emotion from her work. Despite the artist’s obvious obsession, there is no heat or passion. It is possible to be too perfect. 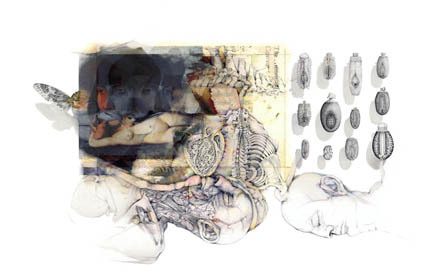 Ingrid Van Dyk’s Life Lines is at Peter Pinson Gallery until October 2, 2010.